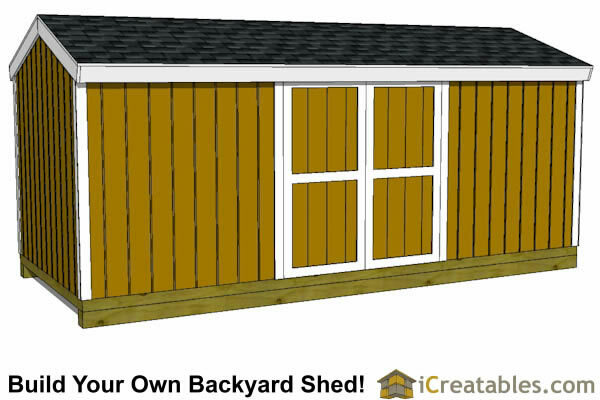 6'-7" wall height - This is the most cost effective wall height because it saves on material and allows the home built shed door to be on any wall. 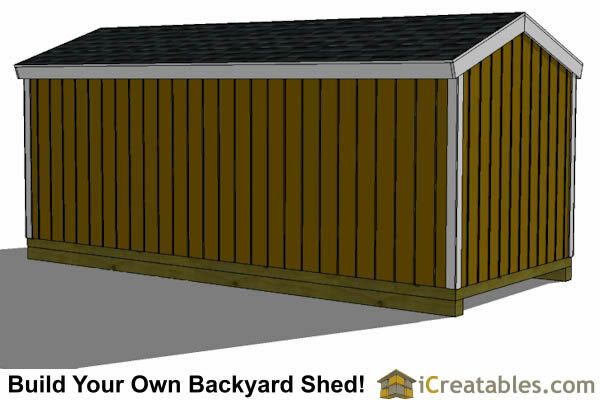 For taller wall sheds check out the 8x12 Gable Tall Version. Home Built Doors - 4' wide or 6' wide double home built doors. 2 Foundations - Wood Skid, Treated joist set on gravel bed. 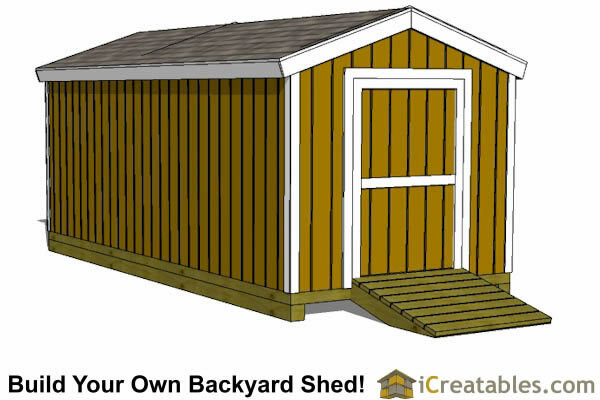 Alternalte Options: The shed plans have alternate drawings for the door on the end or sides. Foundation: 2 different foundations are included in the plans; Wood skid and gravel with pressure treated floor joists. Floor = 2x6 floor joists at 16" on center with 3/4" floor sheathing. 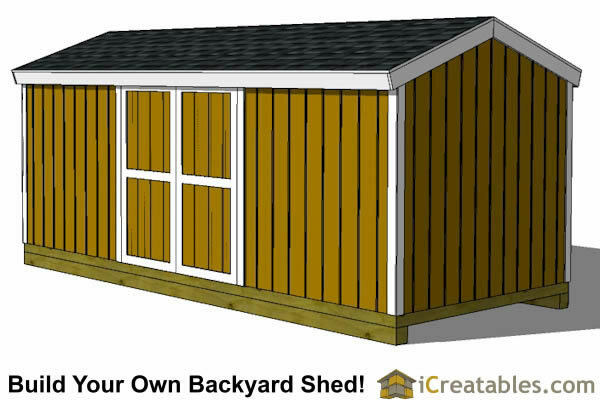 Wall Height: The shed wall height is 6'-7". 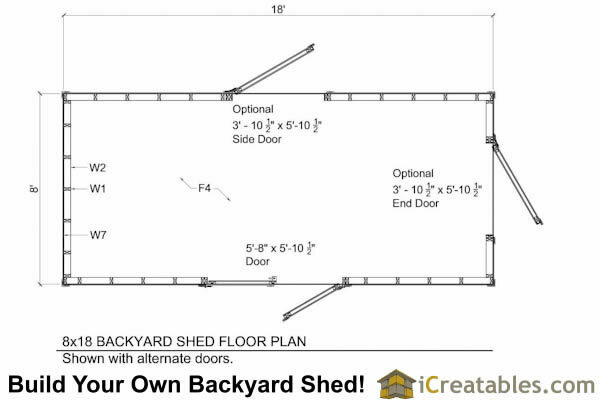 3'-10 1/2" x 5'-10 1/2" and a 5'-10 1/2" x 5'-10 1/2" double door plan are included. Roof: The roof is framed using 2x4's to build rafter trusses. 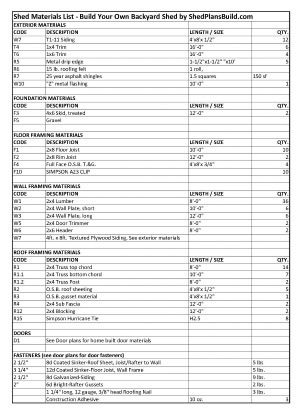 The plans include instructions to build the trusses using top and bottom chords and 1/2" O.S.B. gussets. It is sheeted with 1/2" O.S.B. (or 5/8 if you want to make it extra strong.) 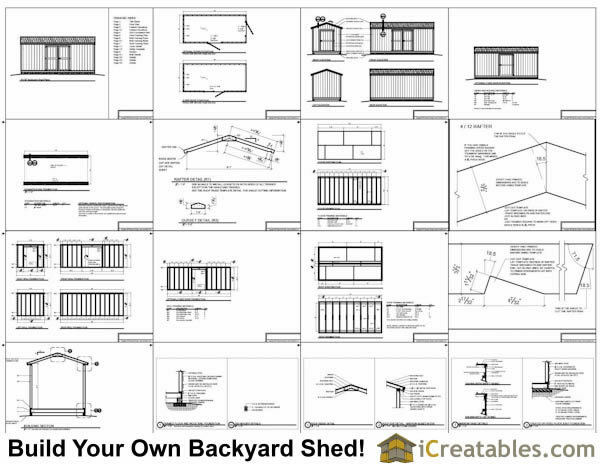 The plans give you the dimensions and cut angles so you can build the roof rafters on the ground and then put them up on the top plates. Roof Overhang: 5-1/2" on the eves and 1" gable ends. 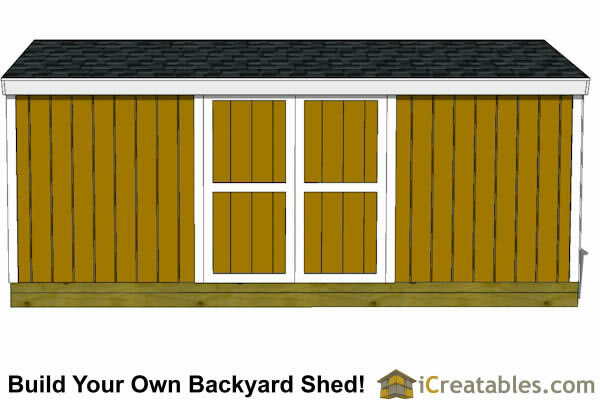 Siding = T1-11 siding or similar 4'x8' wood or cement panel siding is specified. This can be changed to use any siding you like. Trim = 1x4 and 1x6 wood, masonite or cement trim materials are used to finish the corners, roof eves and facia, and door.